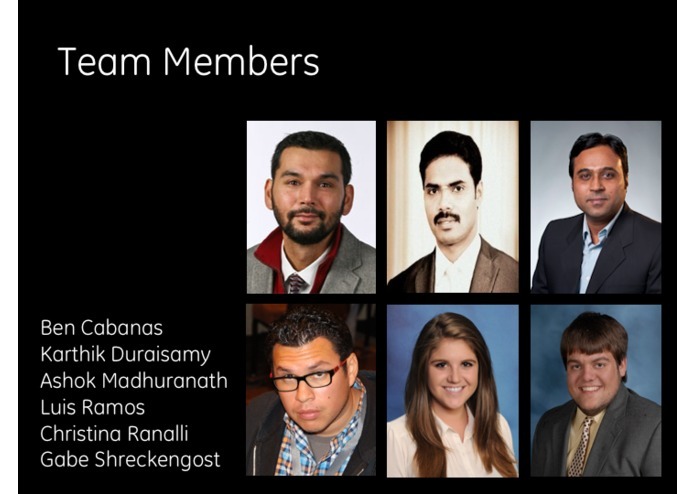 Imagine you are on a flight to Las Vegas to attend Predix Transform. Mid-flight, 30,000 ft in the air, the jet engine on the right wing is malfunctioning. As the blades rotate against the shroud, the friction causes the temperature to increase above the approved threshold. 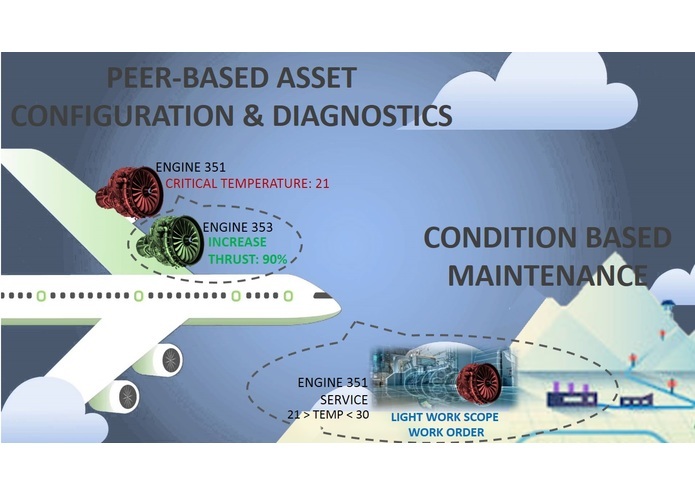 Luckily, the jet engines are running PREDIX PEER-BASED ASSET RESPONSE application that connects the engines during the flight. When the temperature increases above the threshold, an alert triggers a response in the other engine to increase thrust and relieve the malfunctioning engine. 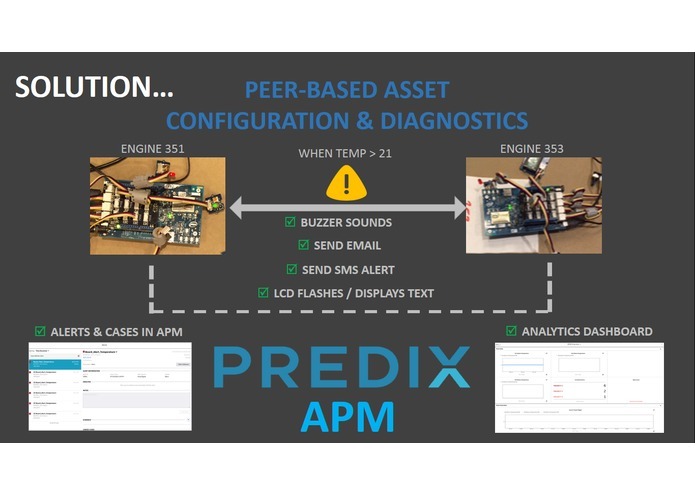 With Predix machine, the application sounds a buzzer, sends an email and an SMS alert, flashes an LCD light with text. Also, through the integration with PREDIX APM, alerts and cases are created and displayed in APM along with the analytics dashboard with real time data. 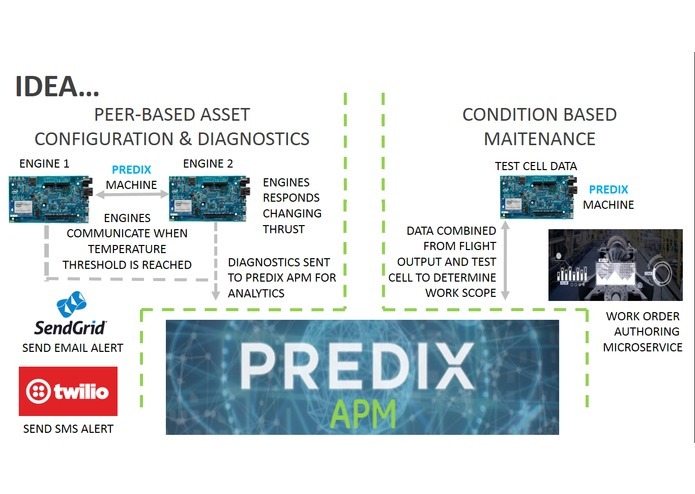 In phase 2 of the PREDIX PEER-BASED ASSET RESPONSE application, the inflight data will be combined with diagnostics data from the test cell to determine condition based maintenance of the engine. The application will help operators identify the main point of failure for service without a full engine teardown. Using two Intel Edison Boards and Predix Machine, we were able to simulate two aircraft engines operating in flight of an aircraft. The data is ingested in real-time to the APM service. Temperature, Vibration, Rotary Angle data is ingested. We are using the APM to visualize the data (dashboard), perform analytics (check for threshold values & generate alerts) & created a real-time dashboard that displays all the relevant metrics. On the Intel board side, we have edge-analytics running on each of the board. When metrics reach threshold values, the edge machines alert the APM service & also send alerts (SMS) & email to the operator. The edge machine also provides local alerts via lcd display & buzzer to notify the local technician on-site. The primary challenge we faced at the outset was scoping the effort without the benefit of understanding APM capabilities. 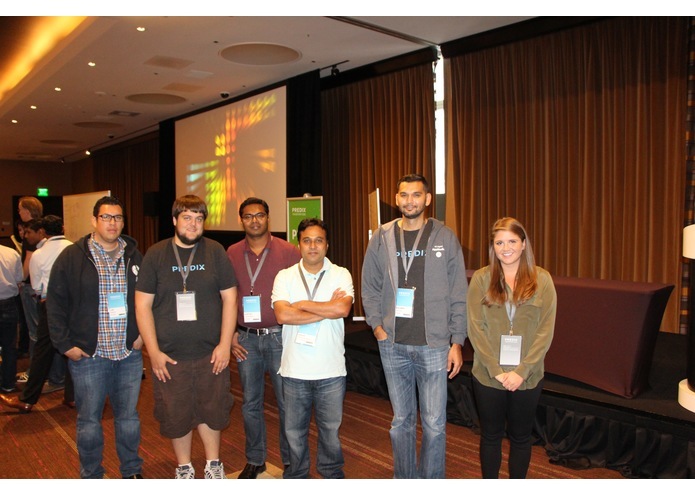 Our team worked in parallel to both establish the data model as well as configure ingestion from Predix Machine. We added several additional boards so data modeling for S95 was a huge challenge since the sample data model assumed only one asset. APM/Time Series performance and stability also contributed to delays in ability to create functionality. We were able to complete many of the goals we set out to achieve, including real-time alerting, communication between asset nodes, SNS notifications and alarms and application of an analytic in APM, in addition to leveraging most of APM's native features. Leveraging the Predix platform and APM, we were able to develop an industrial-strength application in just 24 hours. We were able to ingest sensor data, process it with standard analytics (on-board and in the cloud), and take corrective action to improve the health of the asset as well as optimize a network of assets (two engines on the same aircraft wing). Application of material data science analytics to validate the impact on conditional work-scoping and maintenance, enhanced UI capability with integrated microapp.